Self-cleaning Betta fish tanks are becoming hugely popular, and the NoClean Aquariums Gravity Flow is a best seller. This tank claims to be a true “self-cleaning” Betta tank. Cleaning it is as simple as pouring some fresh water in the top, and the tank does the rest. But does this tank really work and is it a good option for your Betta fish? The design certainly looks cool and it’s sure to be a conversation piece in your home or office. But reviews are mixed and the idea of keeping a Betta fish in a tank like this is relatively controversial in the fishkeeping community. This tank has a lot going for it, but it also has some significant drawbacks. 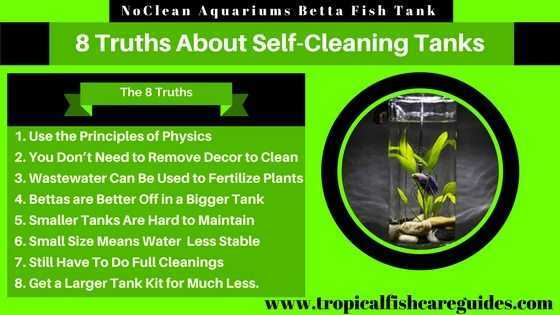 In this article, we break down the pros and cons and bring you 8 truths about NoClean Aquariums Betta fish tank. NoClean Aquariums advertises that their tank “works because of physics.” Any waste products, extra food and debris sinks to the bottom of the tank and slips between the rocks. This waste is collected and trapped in a reservoir ready to be sucked out. There is a tube extending from this reservoir up to the top of the tank and out the side. When it’s time to clean the tank, you simply pour fresh water into it. The principle of hydrostatic equilibrium forces dirty water from the bottom of the tank up the tube and out the side, where you can catch it in a cup or sink. Again due to physics, the water will equalize at the proper level, just below the exit tube on the side. This is a great and drip-free way to siphon debris out of your tank just by pouring in some fresh water. One of the biggest pains in cleaning an aquarium tank is removing all the plants, decorations and gravel. With the NoClean Betta fish tank, you can perform a simple cleaning and water change without touching anything inside the tank. 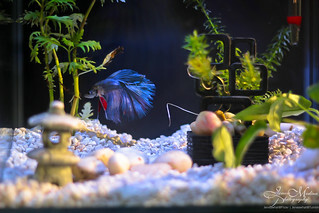 Your Betta can even stay put, which is much less stressful than fishing him out with a net and keeping him in a bowl while you clean his home. It’s important to note, though, that what the NoClean Aquarium does is essentially siphoning dirty water from the bottom of the tank. If you have a conventional tank, this is something you can easily do using–you guessed it–a siphon. While maybe not as automated as the NoClean tank, using a siphon is still a simple way to remove debris and perform quick water changes. The waste that collects at the bottom of your tank is toxic for fish, but it’s great for plants. The dirty water that you siphon out of your NoClean Aquariums Betta tank is rich in ammonia, nitrogen, phosphorous and potassium, all of which are vital ingredients in plant fertilizer. 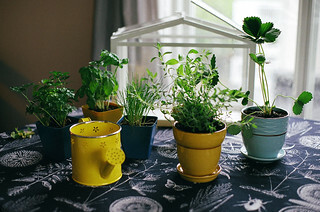 This means that you can collect the wastewater that comes out of your tank in a cup and use it to fertilize house plants or even your garden. That’s a great way to conserve and reuse! Again, if you have a traditional fish tank, this is something that you can do with a siphon. Fish waste is a great fertilizer, no matter if that waste comes out of a simple siphon or a self-cleaning aquarium. If you reuse your dirty fish water like this, you’ll have a healthy fish and healthy plants. The NoClean Aquariums GravityFlow self-cleaning Betta tank is extremely small, coming in at ½ gallon in size. This small size seems primarily geared toward keeping Betta fish on a desk or table as decoration, rather than providing an environment that your Betta will thrive and be happy in. Bettas really shouldn’t be in a tank smaller than 2.5 gallons, and 5 gallons or more is even better. NoClean Aquariums will soon be offering the GravityFlow 2, which is a 2-gallon fishbowl shaped version of their original GravityFlow. This size will certainly be much better for your fish than the ½ gallon version, but it’s still a smaller tank than we recommend for a happy and healthy Betta fish. Smaller tanks get dirty faster and require more frequent maintenance. While siphoning and performing a water change on a NoClean Aquarium may be as simple as pouring in some new water, you’ll need to do this relatively frequently. The small tank size means that it won’t take long for waste to build up at the bottom, which can cause harmful compounds such as ammonia to build up quickly to toxic levels. With a tank this small, you should perform a 50% water change at least every other day. With larger tanks, you can perform smaller water changes and you won’t need to change the water nearly as often. If you use a siphon, you can change the water and remove waste from the tank all at once, just like the NoClean. In addition to needing more frequent maintenance, smaller tanks also have difficulty maintaining a stable temperature and water chemistry. The small size means that temperature and pH levels can fluctuate wildly, and even a small adjustment can seriously stress your fish and even create a toxic environment. It’s also tough to find heaters that work well on tanks this small. Bettas are tropical fish and prefer temperatures in the 78-82 F range, so unless you keep your house this hot you’ll need some sort of heater. Larger tanks are much easier to maintain at a stable pH and temperature, and it’s also easier to make gradual adjustments so as not to stress your fish. It’s also easier to find heaters that work effectively on tanks above 2.5-5 gallons. With a larger tank, you’ll actually need to worry about your Betta a whole lot less. Even though the NoClean Aquariums Betta tank siphons out dirty water almost automatically, you’ll still need to perform a full cleaning every so often. While most of the waste collects at the bottom, over time the sides of the tank will accumulate dirt and grime that will need to be scrubbed off to maintain a healthy environment. The NoClean Aquarium is also relatively expensive for a fish tank. You can buy a 5 gallon conventional tank, a good filter, heater and siphon for the same price or cheaper. You’ll save a little money and your fish will be much happier. With the larger tank you won’t have to change the water as frequently, the temperature and pH will be more stable, and using a siphon is simple and easy. The NoClean Aquariums GravityFlow Betta tank has an interesting design that makes it easy and fun to clean your Betta’s tank. But overall the tank is much too small for a Betta fish, and the small size could mean more maintenance in the long run, despite the “no clean” design. While this is great as a novelty item or conversation starter, if your goal is a happy and healthy Betta fish you should look for a tank that is at least 2.5 gallons in size. 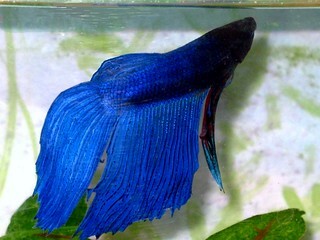 Every day people buy Betta fish, keep them in small fishbowls or vases as decoration, do not care for them properly, and are left with unhappy, unhealthy, or even dead fish. If the GravityFlow tank encourages cleaning and performing water changes, then it’s certainly better than a fishbowl. Our final recommendation would be to pick up one of the 12 tanks featured in our post 12 Of The Best Betta Fish Tanks.